If Tesla’s semiautonomous software is at fault, this would be two losses for autonomous vehicles in Arizona. In the short time it’s been acquainted with self-driving vehicles, the state of Arizona seems to be unable to give autonomous vehicles a break. As an Arizona native, your fair writer is inclined to point fingers at the questionable driving practices of all 6.7 million residents, but it appears that the technology could be equally culpable. Following a wreck between an SUV and one of Uber’s armada of self-driving Volvo XC90s, The Arizona Republic now reports that another autonomous crash has taken place in the Grand Canyon state. The accident actually occurred on March 21st, prior to the Uber accident. This time around the involved party wasn't a self-driving XC90 but a Tesla Model X that may have been using autopilot at the time of the accident. Unfortunately for Elon Musk, the Model X seems to have chosen the worst target it could run into, a police officer on a motorcycle, commanding a public image nearly as bad as if it had run over a group of school children. However, the details surrounding the story paint a very different picture and less severe picture. The accident occurred after both the Model X and the police officer had exited the freeway and come to a stop. After stopping, the Model X began to move forward, prompting the officer to dismount once they noticed. The Model X then struck the motorcycle, although no damage was reported on either the Tesla or the bike, particularly because the officer mentioned the Model X couldn’t have been moving faster than 3 mph. The driver, who along with the officer remain unnamed, claimed that Autopilot was engaged, but Tesla’s own website mentions that the system prompts the driver to take over after exiting the freeway. In terms of damages, Phoenix police spokesman Sgt. Alan Pfohl mentions that the collision was such a minor incident that it wouldn’t have been investigated if it didn’t involve an officer. Tesla told The Arizona Republic that it hasn’t even been informed of the accident. To advocate for Tesla, if Autopilot really was engaged, then the system was working outside of its parameters and if it wasn't, then the accident is the fault of the driver. 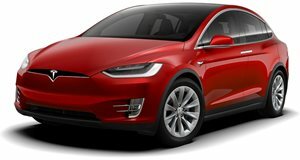 On the other hand, there is prior evidence suggesting that other Teslas have suffered from episodes of unintended acceleration, but these were never confirmed to be due to a fault of the Autopilot system. It may be wise to brace for more reports like these as beta versions of autonomous vehicles are thrown onto the road with drivers of all skill levels.